Should every UK citizen be paid a basic income, without means-testing or work requirements? Lesley Curwen and guests debate proposals for what's being called a Citizen's Income. Should every UK citizen be paid a basic income, without means-testing or a requirement to work? Lesley Curwen and guests debate proposals for what's being called a Citizen's Income on Wednesday. The term citizen's income refers to an unconditional income paid by the state to every man, woman and child as a right of citizenship. Sufficient to cover basic needs, rates are set for children, working-age adults and pensioners and are guaranteed regardless of other income, ability or intention to work. It's argued that overhauling our complex system of tax and means-tested benefits would cut administrative costs and encourage employment, as concern about losing benefit when income increases would no longer apply. People seeking higher education or training would be able to take advantage of a small secure income, facilitating career change, increasing job satisfaction and productivity. It could enable reduced working hours or career breaks to care for an elderly, disabled or otherwise vulnerable person. 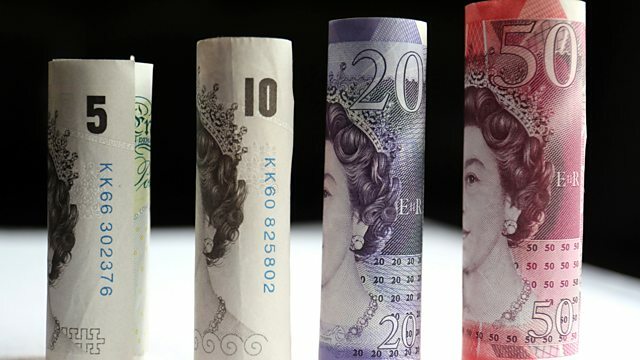 Could a citizen's income really work in the UK and would you be in favour of the change? How would this be funded and would you be happy to pay more tax? Dr Malcolm Torry, Director, Citizens Income Trust. Anthony Painter, Director of Policy and Strategy, RSA. Donald Hirsch, Director, Centre for Research in Social Policy, Loughborough University. Call 03700 100 444 from 1pm to 3.30pm on Wednesday 13 January with your views and questions or e-mail moneybox@bbc.co.uk now. Joseph Rowntree Foundation - Could a 'citizen's income' work? Kela (Social Insurance Institution of Finland). Basic Income Study.